That was probably as close to winning a race weekend as Ferrari could have got without actually winning the race. 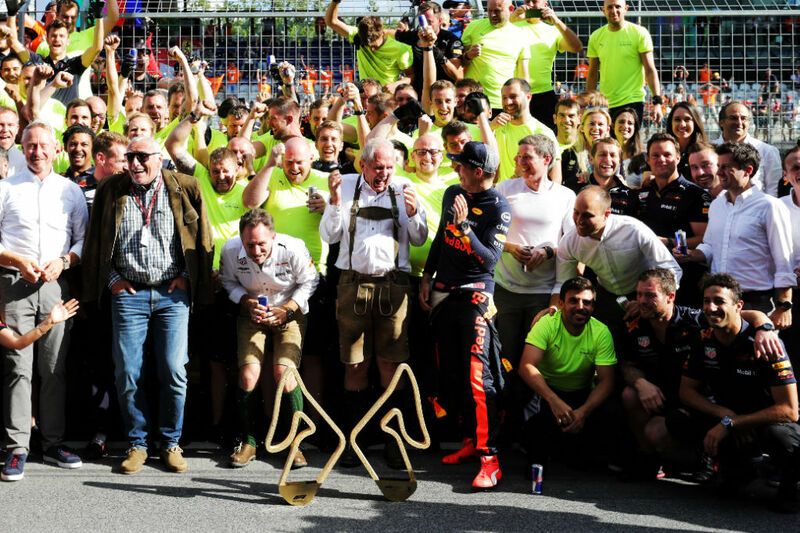 Max Verstappen took advantage of both Mercedes having car issues and retiring to hand Red Bull their first win at the Red Bull Ring in Austria. 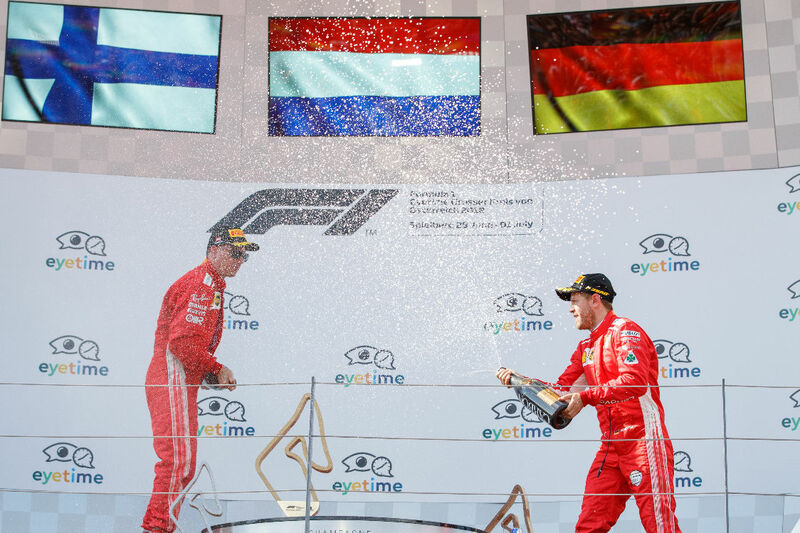 But it was Ferrari, who had both drivers on the podium, who would be the happiest that weekend as they regained the lead in both the drivers and constructors championships. 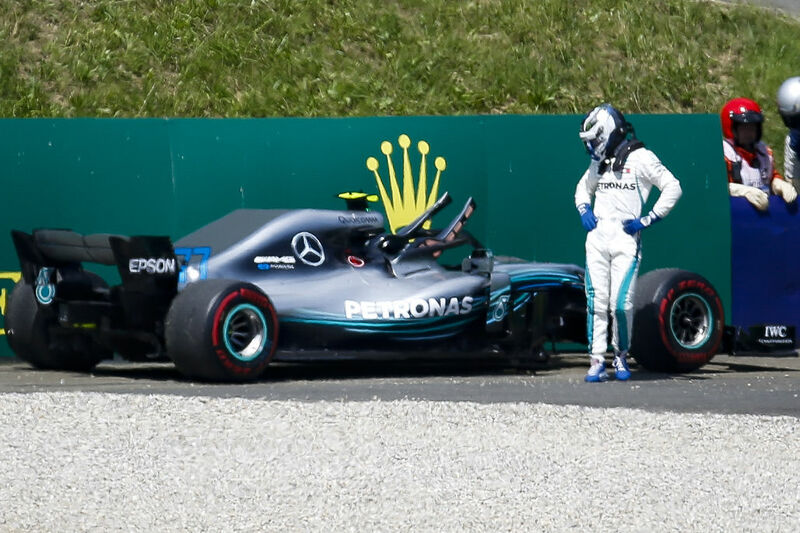 It was a dramatic race as Mercedes saw their front row lock out fall away pretty quickly before both their cars had mechanical issues ending their weekend. It was the first time the team had suffered a double DNF since they returned to the sport in 2010. Despite Red Bull winning the race, it was a disappointing weekend for Daniel Ricciardo. The Australian struggled in qualifying, starting from 7th, and had his own car issues as he retired late on Sunday. Ferrari’s influence on the rest of the track was also doing wonders as Haas had both drivers finish in 4th and 5th as well as young protege Charles Leclerc finished in the points again. The Sauber driver was once again the talk of the town, but not necessarily for his recent driving on the track as the much mentioned rumours that he could make the jump up to Ferrari next season intensified. Mercedes were looking good in practice but there seemed to be hope from the crowd that the home team Red Bull could cause a few problems, especially Max Verstappen who had a huge Dutch following. Around 18,000 was the number speculated by media of how many Max fans were cheering on their new hero this weekend. When qualifying came there were a couple of shocks early on as is the standard this season. Austria would see Sergio Perez qualify in only 17th in his Force India. However he would recover well on Sunday with a 7th placed finish. Ferrari were consistently a step behind Mercedes on Saturday. There was some talk about the choice of tyre from Ferrari which confused many a pundit. Despite being level with the Silver Arrows during simulation at this track on the super soft tyres, Ferrari continued to put their cars on in the ultras and continued to be behind their rivals. In the end it was a Mercedes front row with Bottas getting his nose in front by one hundredth of a second. Vettel was struggling throughout but ran the car ragged, pushing every corner to get in to 3rd. Elsewhere Romain Grosjean showed that the Haas had the potential for a good result this weekend by splitting the Red Bulls in 5th. There seemed to be a bit of a storm brewing between Verstappen and Ricciardo after qualifying but all was calm come Sunday. Later on Saturday there were a couple of big changes to the grid. A huge blow was dealt to Vettel who dropped down to 5th because of a penalty for supposedly blocking during qualifying. Fernando Alonso then had a penalty for engine/gear box, meaning he had to start from the pit lane. It was a frantic start as Hamilton and Raikkonen got off to a flyer, both overtaking Bottas. However later on that lap the Finn in the Mercedes took back second with a lovely overtake before Verstappen went past the Ferrari in spectacular fashion a few laps later. The other Ferrari didn’t get off to the best of starts but Vettel pulled off a great move, beating Grosjean into a tight corner, to get to 6th. After 11 laps the Renault of Nico Hulkenberg had to retire when the engine basically blew up. It was a shame as both Renaults were having a good battle with the Force Indias for the last of the points positions. Later on Sainz had an awful pit stop which ended their chances of a points finish. There was another retirement moments later that would play a huge part in this race. Bottas’ gearbox failed ending another opportunity for him to get a race win under his belt. This brought on the virtual safety car, sending multiple drivers in to the pits. However the remaining Mercedes driver, Hamilton, stayed out. The Brit knew that if he pitted soon he could end up as far back as 4th so the plan was to take the tyres as far as they could go. Later on the radio Hamilton was told he needed to find eight seconds, a very long time in Formula 1. And so it proved to be. Things were looking rosy for Red Bull on lap 20 when Ricciardo pounced on a mistake by Raikkonen who locked up. The Australian got in to DRS zone and got his car in to a podium place. Then on lap 25 they had the top two cars as Hamilton finally pitted, coming out just in front of Vettel. The aim now for Mercedes was to keep Hamilton in front of his championship rival. Just over halfway in to the race Ferrari got a double win firstly with Kimi regaining second after keeping on the heels of Ricciardo who was struggling on his tyres. Then Vettel went for it with a big time overtake, braking very late to get past Hamilton and up into third. From being first after the first lap, Hamilton was having a nightmare of a race. After he lost his lead and then a podium place to Vettel, his rear tyres gave out, meaning he had to pit again. There was a hope that he could go chasing after the front runners with around 15 laps remaining. 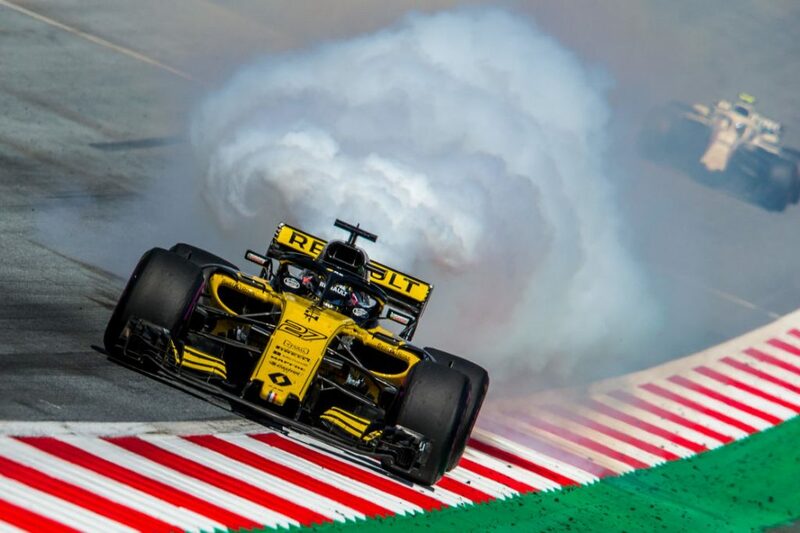 It wouldn’t take long for him to recover as Ricciardo retired a lap later, surrendering 4th place on his 29th birthday for his team’s home race. A weekend to forget for the Aussie. But the misery continued as, with seven laps to go, Hamilton’s car lost power meaning Mercedes had a double DNF. It was Lewis’ first retirement in over two years. More importantly it was a huge win for Ferrari who had two cars on the podium with Vettel regaining the championship lead. There was some mention of whether Ferrari would let Vettel overtake his teammate to get more points, but that notion was soon dismissed as Raikkonen, who was told earlier to go for the win, pulled out a fastest lap and moved within three seconds of Verstappen. 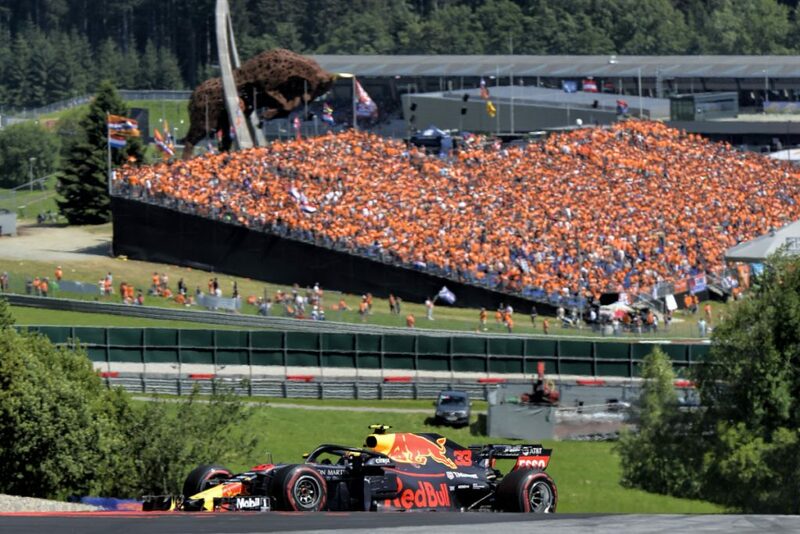 However Verstappen drove a beautifully managed and mature race to get his first win of the season, pleasing the huge number of orange clad Dutch fans. It was a great win for Max and also Red Bull in their home race, but for the Tifosi, this was a huge weekend. Two drivers on the podium and both Mercedes going out had given Vettel a one point lead in the drivers championship and a constructors lead of ten points. The lead is back for Ferrari but we have a quick turnaround with Silverstone coming this weekend. I can imagine we will see a very determined British driver in a very determined car looking to regain their lead in both championships.